Helping provide affordable clothes for kids, adults, and work. for growing kids, for yourself, or for work. Our Clothing Department provides affordable clothing in our third-floor store. Are you looking for appropriate clothing for job interviews or work? Our Career Clothing provides a variety of professional clothing to meet your needs. • Open to the public Tuesday – Friday, 9:30 a.m. – 12:30 p.m.
• Bring proof of an upcoming court date to receive your first Career Clothing outfit for a court appearance at no cost. Questions? Contact us by email or at 812.423.9222. 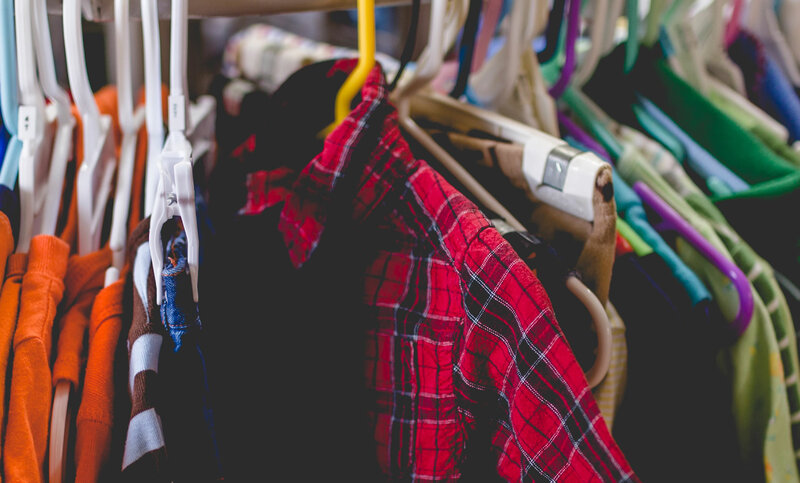 You can make a difference by volunteering and by donating gently-used clothing items. Contact us to learn more.